Save Money. Stop Buying Paper Towels And Upgrade To Electric Hand Dryers! An automatic hand dryer is an excellent solution to reduce the use of paper towels in your restrooms. Additionally, you do not have to deal with the paper towel waste which requires proper disposal. You do not have to employ anyone for the waste management. A hand dryer is convenient and hygienic for your employees, customers and visitors. Install these devices at the required places. The automatic function makes drying of hands a quick and pleasant process. Excel and Palmer Fixture are two well known hand dryer brands. They make different types of hand drying devices for use in the bathrooms and restrooms. It is top of the line product in this category. This compact device makes hand drying a simple and easy process. The user's hands are dried in less than 15 seconds. Faster drying leads to higher energy savings. Its speed, sound and heat settings can be adjusted to suit your specific hand drying needs. Most importantly, you will be able to save 95% of the costs involved in the use of paper towels. It is an environment friendly solution for your restroom. Use this hygienic hand dryer for your restroom to realize the cost savings in labor, maintenance and paper towels. 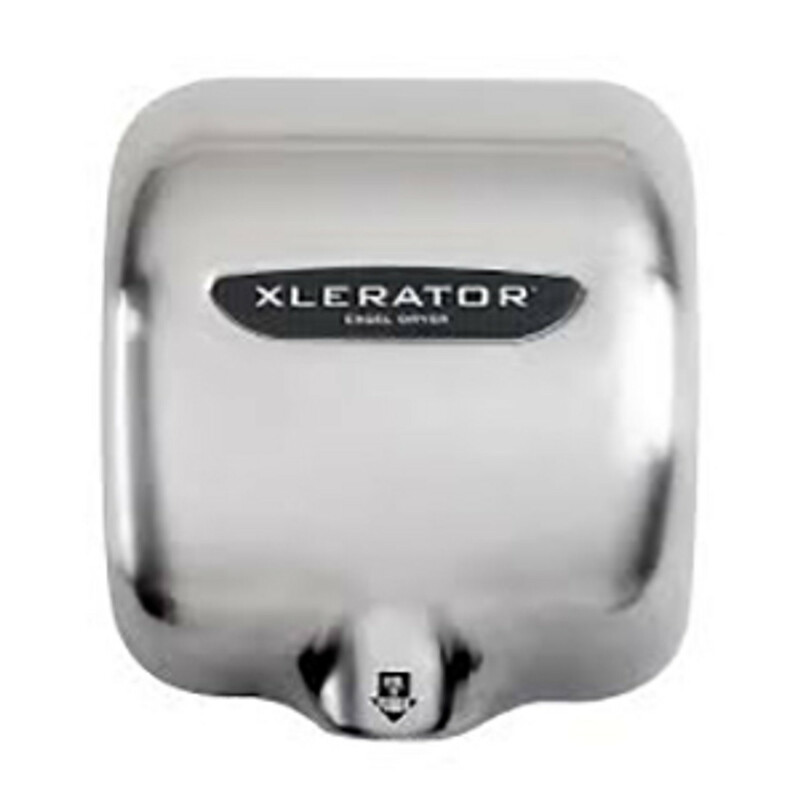 Excel Xlerator hand dryer is available in brushed stainless steel, chrome plated, graphite textured, white epoxy and white thermoset resin cover options. Buy the model with the type of cover that matches the interior theme of your restroom. 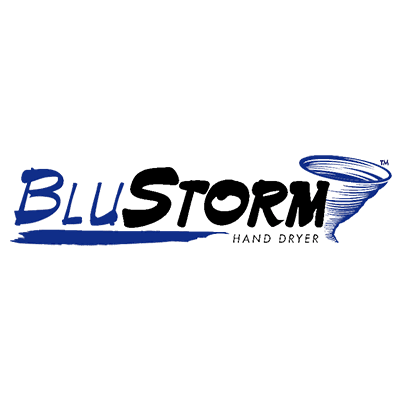 Hand dryers from BluStorm are available in two models. The standard device that protrudes from the wall offers quick hand drying within seconds. You can adjust its speed. The whole device is packed inside a strong case, making it vandal proof. If there is irregular use of its hand drying function, its power is switched off automatically after sixty seconds of starting. It operates quietly and comes with five years of warranty. You will save 95% of the paper towel costs. If you are looking for a recessed design hand dryer, buy the Palmer Fixture BluStorm Recessed hand dryer. The advantage of this design is that you do not have to install any separate splashback plate below the hand dryer. This cost is eliminated because the hands are dried inside the cavity of the device. You avoid water splashes on the walls and floor. It minimizes the slipping hazard in the restroom. It is vandal resistant because the unit is wedged in the wall. The device’s internal parts are protected from all sides with the thick and hard metal cover so it is difficult to damage it. Its slim and sophisticated design improves the aesthetics of any restroom. 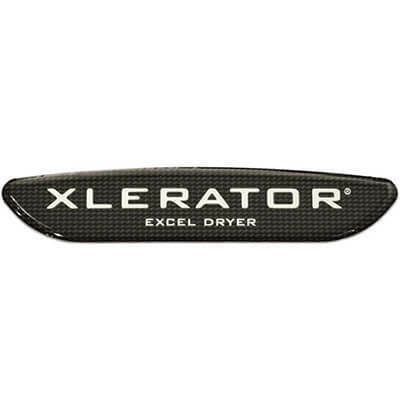 The differences in different models of Excel Xlerator are limited to the cover color and finish varieties. With Palmer Fixture hand dryers, the differences between its both units are mainly in terms of design. Buy the hand dryer that meets your specific restroom requirements and preferences. If vandalism is a big concern, buy the Palmer Fixture’s recessed hand dryer. All these devices are made with high quality materials and parts. You receive complete manufacturer warranty. Use this economical, hygienic and environment friendly solution to reduce the costs of your restroom supplies.